Proud to be a Reefer? Express yourself and the love of the hobby with everything it encompasses. This will provoke the thought of others and makes a nice conversation piece to discuss the very hobby you enjoy. 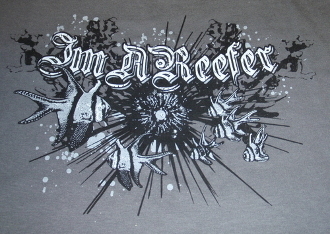 Im A Reefer with sea urchin surrounded by Bangaii Cardinal fish.